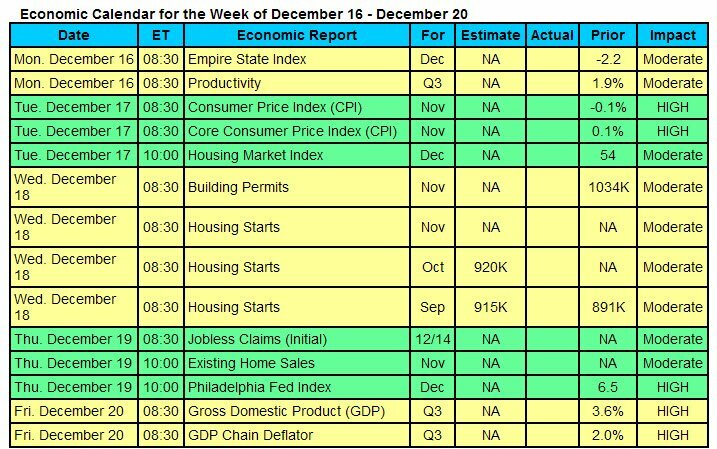 Last Week in Review: The Jobs Report for January was a “big” surprise, while home price appreciation continues to stabilize at normal levels.Forecast for the Week: Economic data doesn’t begin until Thursday, with just a handful of reports to end the week.View: The flu is nothing to sneeze at. Stay healthy this season with four easy tips. “Yet, through all the gloom, I can see the rays of ravishing light and glory.” John Adams. The gloom of recent years seems to be gone from the labor sector, as it is a bright spot in our economy at the start of this year. The January Jobs Report showed that 257,000 jobs were created, above the 235,000 expected, as the sector continues to produce robust gains. In addition, job creations for November and December were revised sharply higher by 147,000. The last three months have averaged 336,000 new hires, the best three-month period in the last 17 years. January marked the 11th straight month of job gains above 200,000, the longest streak since 1994.Also of note, the Unemployment Rate ticked up slightly to 5.7 percent from 5.6 percent, while hourly earnings came in above expectations. It will be important to monitor future hourly earnings readings, as growth in this area could cause an increase in inflation. Since inflation is the kryptonite for fixed investments like Mortgage Bonds, it can also be bad news for home loan rates (which are tied to Mortgage Bonds). 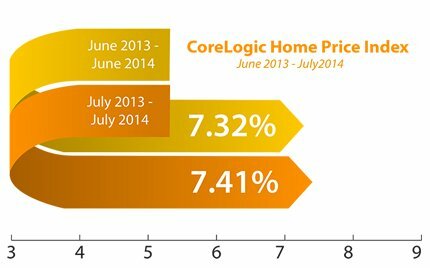 Over in housing, research firm CoreLogic reported that home prices, including distressed sales, rose by 5 percent from December 2013 to December 2014. 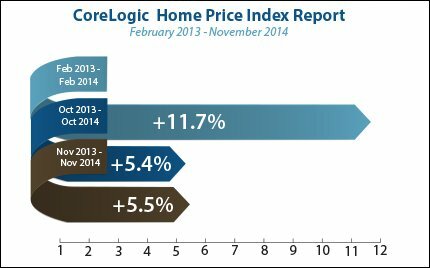 Home price gains continue to stabilize at more normal levels from the double digit gains seen in the past few years. While the 5 percent gain is the 34th month of consecutive year-over-year increases in home prices nationally, prices are still 13.4 percent below their April 2006 peak. Last Week in Review: The Jobs Report for August came in worse than expected, but Mortgage Bonds and home loan rates hovered near some of their best levels of the year. Forecast for the Week: Look for news on jobless claims, retail sales and consumer sentiment—all in the second half of the week. View: Check out these great video conferencing options when face-to-face meetings aren’t possible. “Get used to disappointment.” While the Jobs Report for August was a disappointment, hopefully that quote from the classic movie The Princess Bride won’t apply to additional reports later this year. Here are the highlights. The Labor Department reported that 142,000 jobs were created in August, far below the 223,000 expected and the recent trend of 215,000 plus job creations per month in 2014. Adding insult to the report was a downward revision to June, showing that 28,000 less jobs were created than previously reported. The Unemployment Rate fell to 6.1 percent from 6.2 percent, but that’s not much of a silver lining considering that the Labor Force Participation Rate (LFPR) also fell to 62.8 percent, matching 36-year lows. The LFPR measures the proportion of working-age Americans who have a job or are looking for one, and it should be moving higher in a recovery. This was not a good report, but historically August non-farm payrolls have been prone to sharp revisions higher as many households and businesses fail to respond to the government surveys. It will be important to monitor this report in the coming months, to see if this report was a one-off, or the start of a disappointing trend in the labor sector. In housing news, research firm CoreLogic reported that home prices, including distressed sales, rose by 7.41 percent on an annual basis in July, marking the twenty-ninth consecutive month of year-over-year home price gains. 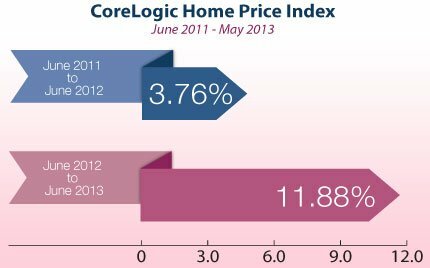 However, prices are still nearly 12 percent below the peak set in April 2006. And in news overseas, the debt crisis in Europe and continued uncertainty in other regions like the Middle East and Ukraine have helped Mortgage Bonds benefit from a safe haven trade. 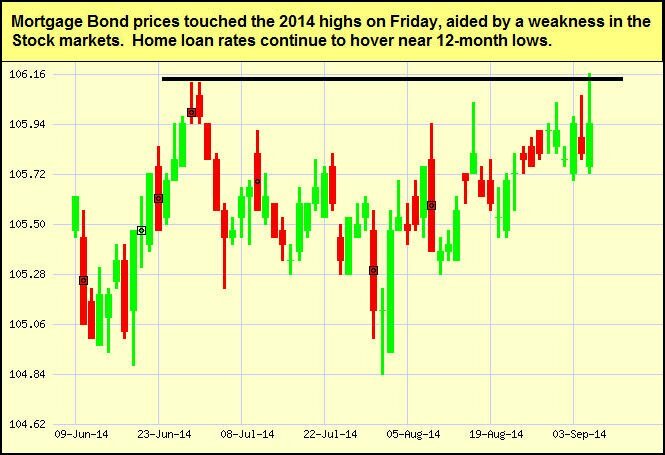 As a result, home loan rates, which are tied to Mortgage Bonds, remain near some of their best levels of the year. Economic reports are few and far between this week, all occurring in the second half of the week. First up this week is Thursday’s Weekly Initial Jobless Claims, which continue to hover near the 300,000 mark. Friday brings Retail Sales for August, along with the September Consumer Sentiment Index. To go one step further—a red “candle” means that MBS worsened during the day, while a green “candle” means MBS improved during the day. Depending on how dramatic the changes were on any given day, this can cause rate changes throughout the day, as well as on the rate sheets we start with each morning. 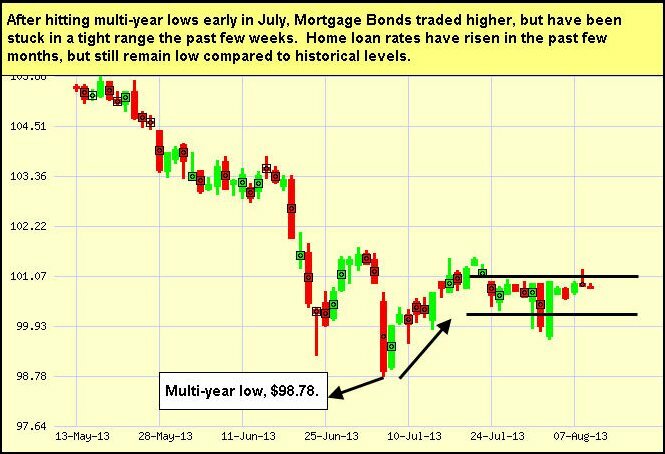 As you can see in the chart below, Mortgage Bonds reached some of their best levels of the year, meaning home loan rates are hovering near twelve-month lows. I’ll continue to monitor them closely. Face-to-face conversations are a key component to building and maintaining client and colleague relationships. Sometimes, though, coordinating schedules can get hectic. If schedules hamper that personal connection – whether it’s across town or across the country – consider using free or low-cost video conferencing. Several easy-to-use choices are available online. Here are three popular services to get you started. All of them provide live video feeds, public and private chat functions, screen sharing, call-in access, and mobile applications. Pricing varies by number of meeting attendees, but all three provide a free option. Video conferencing provides a cost-effective, efficient solution for connecting. Plus, the video feed and screen capture provide that “just-like-being-there” feeling, making video conferencing an especially great option for meeting out of town clients who are relocating and appreciate a more personal connection. As always, please feel free to pass these tips along to your team, colleagues and clients. Last Week in Review: Housing numbers and retails sales were disappointing, wholesale inflation is heating up, and tensions overseas had a big impact on the markets. Forecast for the Week: Key housing and inflation reports will be released, while earnings season and tensions overseas could impact the markets. View: Check out these six leadership classics that are worth reading (or re-reading) and that can have a big impact on your success. Some like it hot. That sentiment does not apply to the Bond markets, when it comes to hotter than expected inflation. Learn what sectors of the economy are heating up, which ones are cooling offâ€”and how the markets and rates responded. Housing Starts were gloomy in June, as they declined by 9.3 percent from May to an annual rate of 893,000, well below the 1.020 million expected. This was the slowest pace in nine months, led by a drop in single-family homes and apartments. Building Permits, a sign of future construction, also fell by 4.2 percent to an annual rate of 963,000, coming in below expectations. There was a bright spot, as the National Association of Home Builders Housing Market Index came in at 53. Readings above 50 indicate that builders see conditions as good, and this was the first reading above 50 this year. Overall, the housing sector has shown signs of recovery, but activity has leveled off and some readings this year continue to be disappointing. 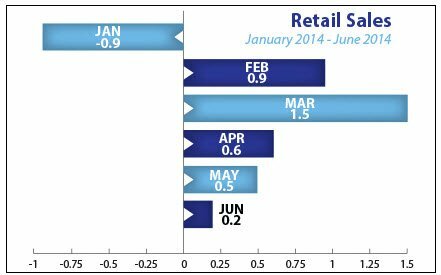 Retail Sales for June also cooled, coming in at the lowest level since the near -1.0 percent recorded in January. Retail Sales account for about one-third of consumer spending, and they are one of the main drivers of U.S. economic activity, making this report an important one to monitor. On a bright side, the report showed that consumers continue to spend at a better than modest pace. Meanwhile, the Producer Price Index for June showed that inflation at the wholesale level came in hotter than expected. Remember that inflation is the arch enemy of Bonds, as it reduces the value of fixed investments like Bonds. And since home loan rates are tied to Mortgage Bonds, when inflation heats up, Bonds and home loan rates typically worsen. The upcoming Consumer Price Index for June will be closely watched for any signs that inflation is heating up at the consumer level. What does this mean for home loan rates? If inflation continues to heat up, it could have a negative impact on Bonds and home loan rates, as we saw early last week. However, the continued tensions in the Ukraine and the Middle East could keep investors in the safe haven of the Bond markets, which would help home loan rates in the process. And earnings season is sure to have an impactâ€”if numbers disappoint, Bonds and home loan rates could benefit. The bottom line is that home loan rates remain near some of their best levels of the year and now is a great time to consider a home purchase or refinance. Let me know if I can answer any questions at all for you or your clients. 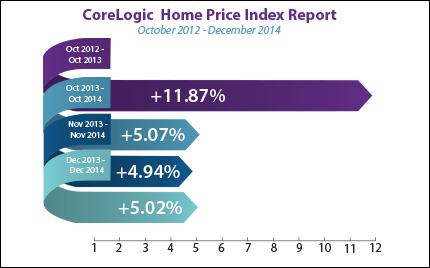 Key housing and inflation reports dominate the headlines. Plus, earnings season is in full bloom. Look for the closely-watched Consumer Price Index for June on Tuesday. In housing news, Existing Home Sales for June will also be released on Tuesday, followed by June’s New Home Sales on Thursday. Weekly Initial Jobless Claims will be reported, as usual, on Thursday. Claims continue to hover near the 300,000 level. Ending the week, Durable Goods Orders for June will be delivered Friday. 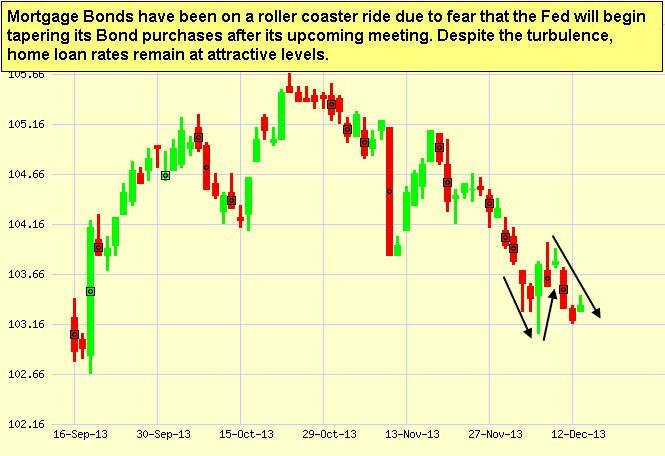 As you can see in the chart below, Bonds worsened in the beginning of last week, but improved after tensions overseas caused a flight-to-safety into the Bond markets. Home loan rates remain near some of their best levels of the year and I will continue to monitor them closely. How To Win Friends and Influence People. Dale Carnegie’s classic is a one-to-one communication manual that covers techniques for handling people, making people like you, winning people over to your way of thinking, and even helping them change (for the better!) without arousing resentment. Wooden on Leadership: How to Create a Winning Organization. The legendary UCLA basketball coach John Wooden knows how to create winning organizations. In this book, he teaches you how to do the same through his Pyramid of Success, stressing the importance of preparation, and perhaps more importantly, the processes. Delivering Happiness: A Path to Profits, Passion, and Purpose. Zappos CEO Tony Hsieh shares why creating an office culture that values happiness first can produce amazing results, not only in customer satisfaction, but also in employee motivation and loyaltyâ€”and your own happiness as a result. The One Minute Manager. Ken Blanchard and Spencer Johnson’s book has sold over 13 million copies worldwide, and focuses on three techniques: clarifying the goals of your organization, giving praise to your team, and appropriately reprimanding when things go wrong… all in one minute each! The Five Dysfunctions of a Team. This leadership “fable” by multiple-best-selling author and business consultant Patrick Lencioni reveals what’s at the heart of why teams failâ€”regardless of the dedication of key membersâ€”and the timeless method he uses to fix the problem. Good to Great. Jim Collins offers the results of an exhaustive five-year study of all Fortune 500 companies. He identifies why only 11 of those companies achieved excellent long-term results, while the rest floundered under poor leadershipâ€”and how you can avoid making the same mistakes in your team. As always, please feel free to pass these great reads along to your team, colleagues and clients! Last Week in Review: Housing is cooling, inflation is warming and the Fed announced more tapering. Forecast for the Week: Important housing, inflation and consumer confidence reports are ahead. Plus, we’ll get news on the state of our economy with the final reading for first quarter Gross Domestic Product. Last Week in Review: There was important labor and housing market news, and fear regarding the Fed tapering its Bond purchases led to volatility in the markets. Forecast for the Week: This week’s calendar is packed with key reports on U.S. growth, manufacturing, inflation, housing and jobs data. Plus the Fed meets. View: Never quite know what to say in your sales emails? Check out the great guide below. “A step in the right direction.” Barbra Streisand obviously wasn’t singing about the housing market in her 1980’s song. But those lyrics were fitting with last week’s housing news. Read on for details. There was good news on the foreclosure front as research firm CoreLogic reported that completed foreclosures in October declined by 30 percent from those completed in October 2012. In addition, the foreclosure inventory declined by 28 percent this year while the rate of serious delinquency is at its lowest level since November 2008. RealtyTrac also reported that foreclosure inventory fell by 15 percent from October to November. This is good news for the housing industry, but with almost 900,000 properties across the nation still in foreclosure a level four times the normal the housing recovery still has more to go. In other news, Weekly Initial Jobless Claims surged in the latest week by 68,000 to 368,000, which is the highest level since early October. 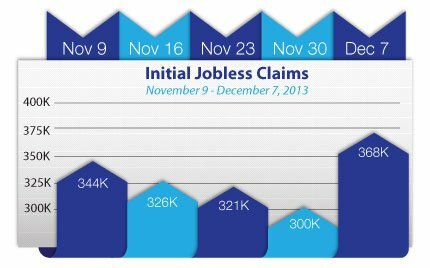 The previous week, Weekly Initial Jobless Claims dropped to 300,000, but that was most likely influenced by the Thanksgiving holiday, as filers could have waited until after the holiday to process their claims. Also of note, Retail Sales for November came in above expectations. 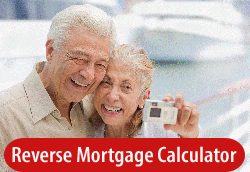 What does this mean for home loan rates? The labor and housing markets are key areas the Fed has been watching as it determines when to taper its Bond purchases. Remember that the Fed has been purchasing $85 billion in Bonds and Treasuries each month to stimulate the economy and housing market. One of the key topics the Fed will be deciding at its December 17-18 meeting is whether to taper its purchases before or after the new year. Fear regarding this decision has led to volatility in the markets in recent weeks, and this topic is sure to impact the markets and home loan rates in the coming weeks and months. This week’s packed economic calendar is filled with key reports each day. Monday brings news on Productivity for the third quarter and the Empire State Manufacturing Index. The Philadelphia Fed Manufacturing Index will be reported on Thursday. Look for inflation news on Tuesday with the Consumer Price Index. Also on Tuesday, the National Association of Home Builders Housing Market Index will be released. More housing news follows on Wednesday with Housing Starts and Building Permits. Existing Home Sales will be delivered Thursday. As usual, Thursday brings Weekly Initial Jobless Claims and comes after last week’s big spike. On Friday, the final reading on Gross Domestic Product for the third quarter will be announced. In addition, the two-day Federal Open Market Committee (FOMC) meeting begins on Tuesday and ends on Wednesday with the Fed’s monetary policy statement being delivered at 2:00 p.m. ET. 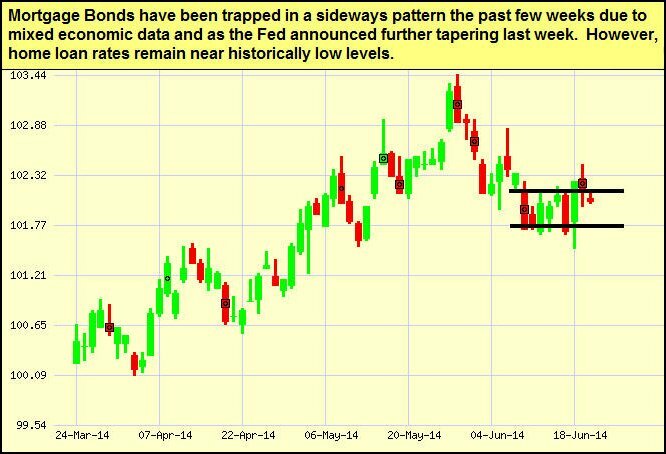 All eyes will be watching to see if the Fed decides to begin tapering its Bond purchases. To go one step further a red “candle” means that MBS worsened during the day, while a green “candle” means MBS improved during the day. Depending on how dramatic the changes were on any given day, this can cause rate changes throughout the day, as well as on the rate sheets we start with each morning. As you can see in the chart below, volatility has been rampant, as some positive economic reports have caused concern that the Fed will taper its Bond purchases sooner rather than later. I will be watching the news closely this week to see what happens after the Fed meeting. STEP 1: Research Roundup. The first step in writing the perfect sales email is to not write anything until you’re prepared. It only takes a few minutes to Google the background of your recipient and gather other facts or trigger events to provide context and legitimate reasons for making contact. STEP 2: Subject Scrutiny. You won’t close a deal on your first email, so focus exclusively on getting a response. The subject line has one purpose and one purpose only: to get the recipient to read your email. STEP 4: Connect the Dots. The main body of your email is where you should show your value. Remember, it’s all about response–so start a dialog by asking an insightful question. This highlights your value better than a long list of qualifications or product benefits. STEP 5: Focused Farewell. In addition to “Sincerely” your salutation should be short, be in plain text with your contact info (no obtrusive logos), and include a link to one online profile of choice. Feel free to pass these tips along to your team, clients, and colleagues.